Tutti Designs: Happy Father Day with a Tool Frame. 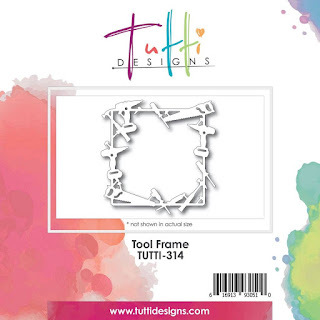 Today is from this months new release Tool Frame, TUTTI-314. 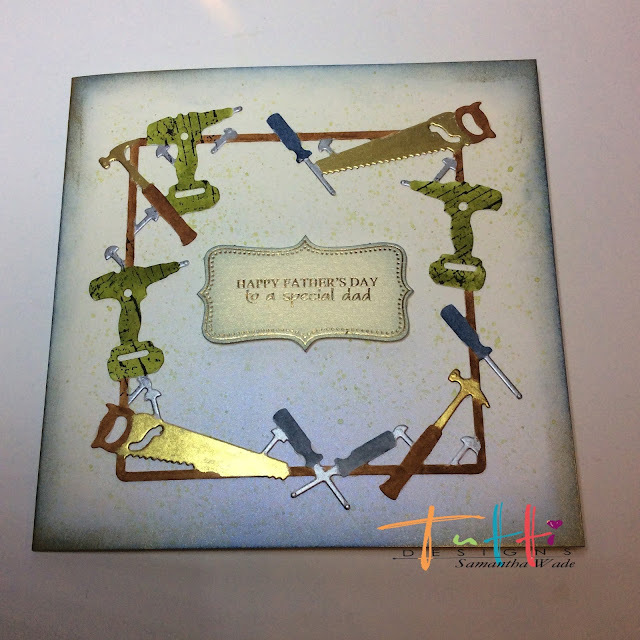 The Tool Frame has been cut from white card and coloured with Distress Inks, Peeled Paint, Vintage Photo and Stormy Sky. Gilding Wax gold and silver has been added to tools. The drills have been stamped with a texture stamp. 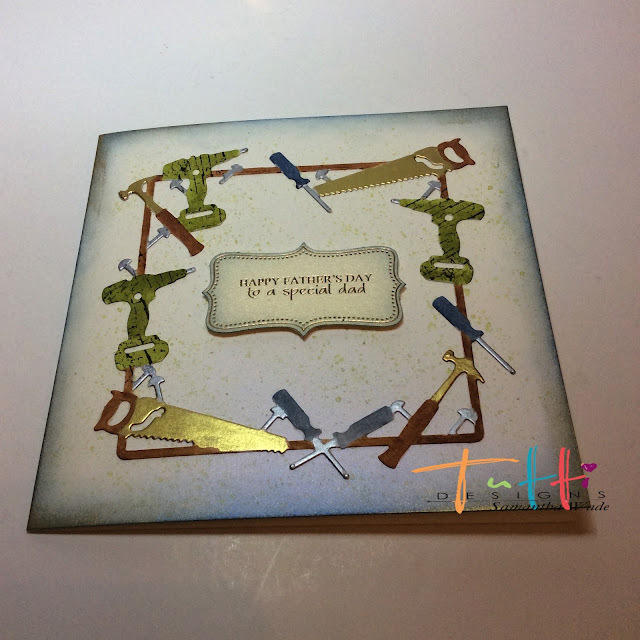 Using the Distress Inks, the edge of the card has blue ink and gold gliding wax, then the green has been splats on the card. Then a sentiment to finish, Happy Fathers Day. Super cool Samantha! 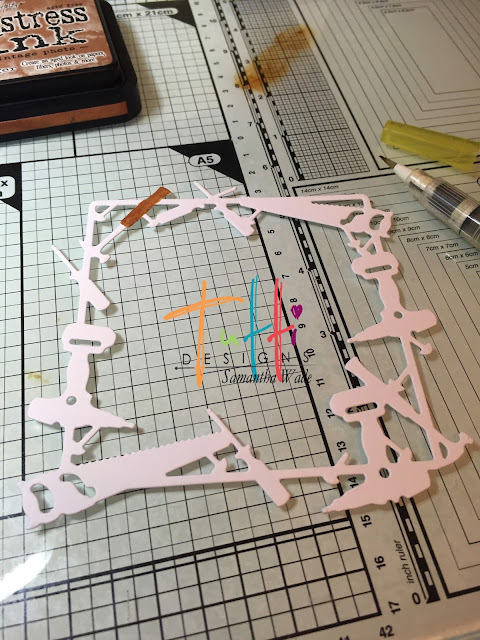 Love your design and how you've colored the tools ... looks fabulous! Wonderful inspiration ... thanks! Oh this is the coolest! 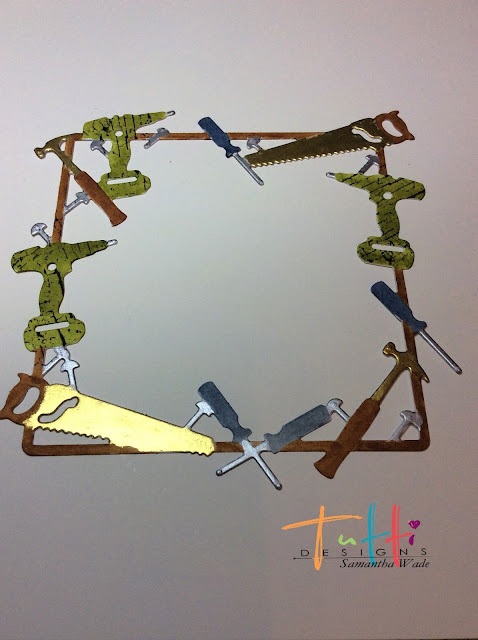 I love the addition of your gilding wax in silver and gold, they really make the tools POP! Wow! How smart you are to color this die! Looks so impressive and 3D!